1. 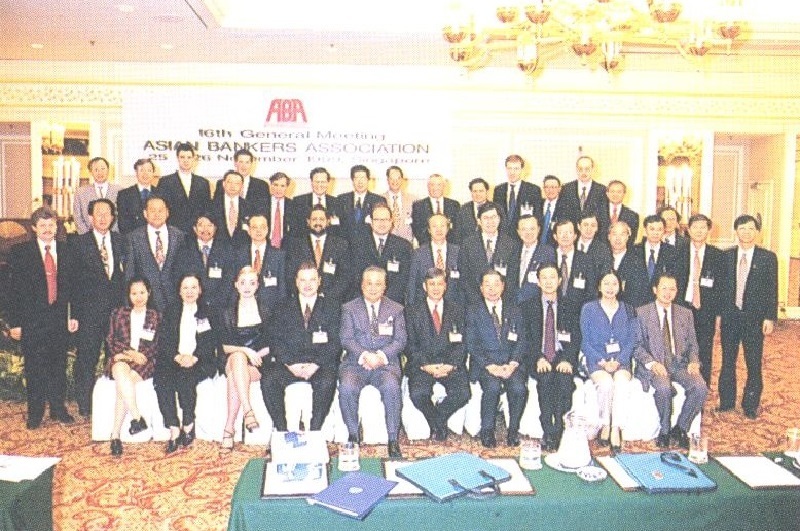 The 16th ABA General Meeting and Seminar was held on 25-26 November 1999 in Singapore. The two-day gathering was attended by over 100 top executives of the region’s biggest banking and financial institutions. Serving as a forum for an exchange of views and ideas on issues of concern to the regions’ banking sector, this year’s annual meeting was hosted by the United Overseas Bank, the Development Bank of Singapore, the Overseas Union Bank, the Oversea-Chinese Banking Corp., the Keppel TatLee Bank, and the Association of Banks in Singapore. 2. 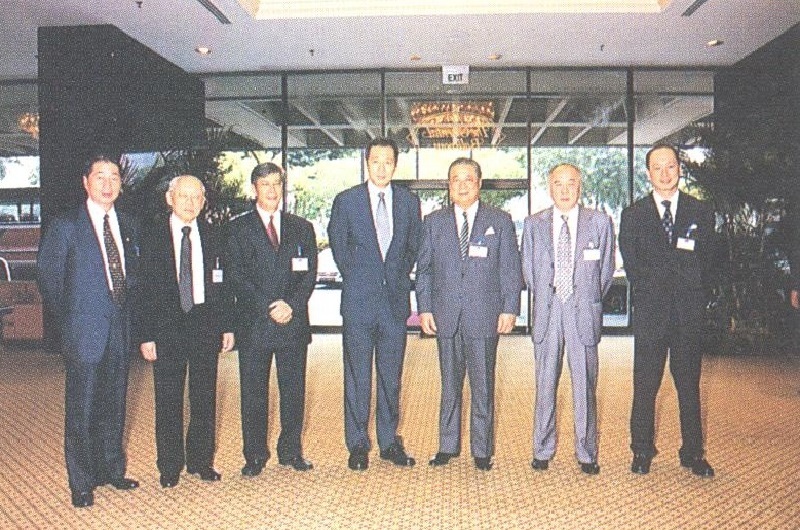 In conjunction with the 16th General Meeting and Seminar, the 27th Board of Directors’ Meeting was also held on 25 November 1999. 3. Inaugurating this year’s gathering was Deputy Prime Minister BG (NS) Lee Hsien Loong, who is also Chairman of the Monetary Authority of Singapore. In his Keynote Address, DPM Lee urged Asian banks to keep abreast of changing developments and anticipate new trends. He said they must significantly improve their corporate governance as technological innovations continue. He added that policymakers have a full agenda to liberalise prudently, while tightening standards of supervision and enforcement. DPM Lee said that as financial liberalization proceeds, new market opportunities will emerge and there will be demand for more differentiated products and services. He stressed that capital markets should grow in Asia, providing an alternative means of intermediation for regional economies. He concluded that if Asian financial systems can do these things and respond to new opportunities, they will be a source of strength, and not weakness, to their countries as the new millennium dawns. 4. 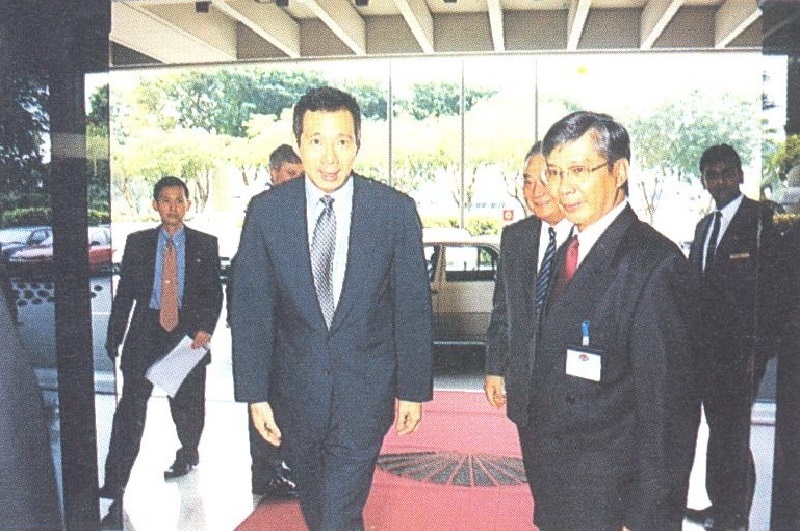 DPM Lee also used the ABA Meeting as a forum for announcing the MAS guidelines on the use of Singapore Dollar to further develop the country’s debt and equity markets. These revisions, DPM Lee said, were aimed at increasing international participation in the Singapore Dollar capital markets which would add depth and critical mass to its markets. The full text of DPM Lee’s Keynote Speech is attached as Annex A. 5. In his Opening Statement, ABA Chairman Datuk Amirsham Aziz said that with the heightened pace of developments in the financial industry, it is imperative for ABA members to make the necessary adjustments in an equally speedy fashion. He expressed confidence that members possess the intrinsic capabilities to overcome the hurdles. To further ease the burden, he called on members to capitalise on the established networking relationships to cooperate in the endeavours. The full text of Datuk Amirsham’s Opening Statement appears as Annex B. 6. 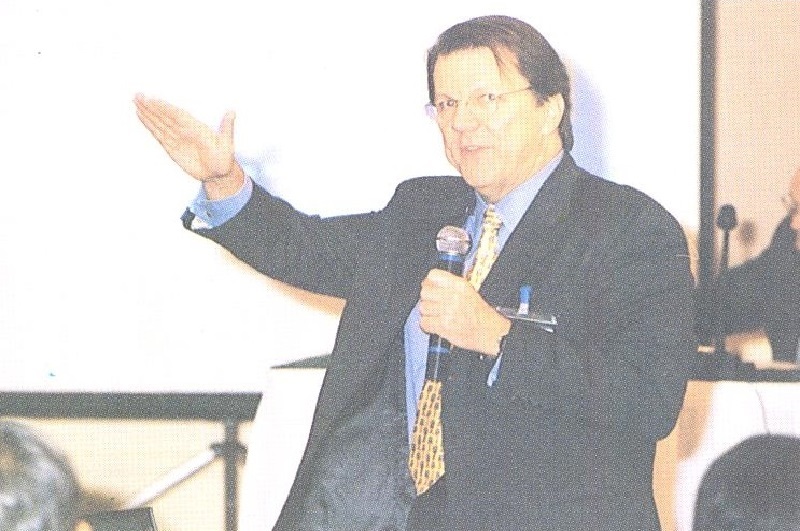 For his part, ABA Chairman Emeritus and Founder, Amb. Jeffrey L. S. Koo, expressed support for DPM Lee’s suggestion for bank Board self-renewals, i.e., for senior bank directors to give way to younger replacements in order to sustain the vitality and drive of the organization. Amb. 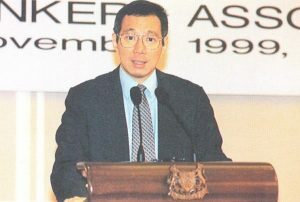 Koo also agreed on the need for banks and financial institutions to take all necessary steps to achieve Y2K readiness. He likewise shared DPM Lee’s view on the importance of developing Asia’s bond markets, and called on ABA members to discuss how the Association could play a more pro-active role in the development of a regional bond market. The full text of Amb. Koo’s Response is attached as Annex C.
7. This year’s seminar focused on the theme ”The Changing Financial Landscape.” It was divided into two sessions, each one focusing on specific aspects of the theme. Dr. Wang Heh-Song, Senior Vice-President and Chief Economist, International Commercial Bank of China (ICBC); and Mr. Frank Wong, Managing Director and Head, Treasury and Markets, DBS Bank, Ltd., spoke on the topic ”The Euro and Its Impact on Asian Economies.” Both speakers agreed that the birth of the euro will introduce a major change in the international monetary system and will likely have an impact on trade and capital flows between Asia and Europe. Over the short-term, however, they said the euro is expected to be relatively weak in relation to the US dollar because of uncertainties and the lack of market confidence. Furthermore, many Asian banks and firms are apt to use the US dollar for international transactions, trade and investment. 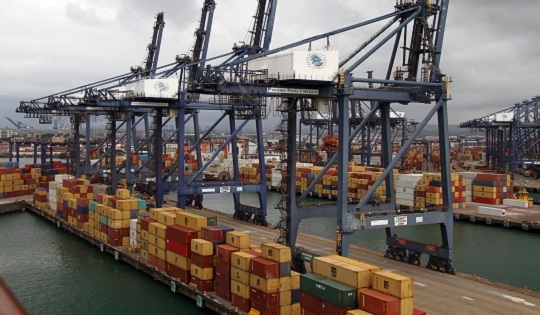 But in the medium and long term, the euro is likely to become a stronger and stable international currency, and Asian firms, particularly those involved in investment and trade with Europe, are advised not to underestimate the euro’s implications on trade and investment. Dr. Julius Caesar Parreñas, Adviser, Chinatrust Commercial Bank, spoke on ”The Changing Environment for Financial Services.” Dr. Parreñas said that the real threat to many Asian companies in financial services sector is coming from the rapid change of technology, its impact on the effectiveness of current protective barriers against foreign competition, its impact on financial intermediation, and the pressure it exerts on governments to accelerate the process of deregulation and market opening. Given this situation, Dr. Parreñas said, it would not be wise for Asian banks to continue depending on protective barriers. Winning strategies will have to revolve around the use of new technologies and the constant search for opportunities arising from a rapidly changing environment. Mr. Stephen Taran, Managing Director and Global Head of Sovereign Risk Research, Salomon Smith Barney; and Ms. Kathtryn Kerle, Vice President and Representative Director, Moody ‘s Singapore Pte, Ltd., spoke on the topic ”The Changing Capital Market Development.” The two speakers both noted that the growth of Asian capital markets are occurring in a period of changing legal and regulatory frameworks. Among the important factors behind these changes, they said, are advances in technology and the globalization of finance. Mr. Taran said that the ongoing rally in the Asian bond market can be attributed to the region ‘s economic recovery, its large current account surplus, stable capital flows, higher reserves, ongoing program in corporate and bank reforms, and positive steps from BIS and G-7 bank regulations. He further noted that the global economic environment is very supportive of Asian sovereign bonds. In her assessment of prospects for the development of capital markets in Asia, Ms. Kerle observed that, among others, Asian finance is largely relationship­ based and that banks provide most of the finance requirements. Moving towards more transaction-based finance in Asia faces formidable obstacles. These obstacles, according to Ms. Kerle, include the following: (a) the difficulty of ceding control; (b) the difficulty of implementation; (c) the inadequacy of infrastructure; and (d) the fact that many see the advantages as not compelling. She said that while domestic capital markets are considered desirable since they provide alternative to bank-sourced finance, its development depends on the transformation of deeply-held beliefs. Mr. Paul Gwee, Senior Vice President, Risk Management, United Overseas Bank Ltd.; and Mr. Kenneth McLay, Financial Institutions Ratings, Standard and Poors’, shared their thoughts on the topic ”Risk Management in the Changing Environment.” The two speakers concurred that as Asia gears up for recovery and renewed economic expansion, it is becoming increasingly important to look at the requirements for risk management posed by the changing environment. Mr. Gwee said that the factors that drive changes in the financial sector included technology, globalization, regulations and shareholdings. These changes, he said, have resulted in a gradual shift from a focus on earnings management to economic value management. Implications on risk management include the need to manage differently and containment of operational costs and risks. For his part, Mr. McLay said that in order to manage risk effectively, there is a need to understand the rules of the game. He identified the trends in industry to include liberalization, securitization, disintermediation, internationalization, and privatization. Submission of ABA position papers to ABAC – ABA submitted to the APEC Business Advisory Council (ABAC) papers articulating its position on short-term capital flows, corporate debt restructuring, and early warning systems for financial crisis. The recommendations made by ABA in its paper on corporate debt restructuring was adopted by ABAC and annexed in its own submission to the APEC Leaders in Auckland. Formation of a sub-committee to take charge of rejuvenating the membership campaign – The main objective of the sub-committee is to help promote ABA and articulate the benefits of membership in the Association. Co-sponsorship of APBC – ABA once again co-sponsored the Asia-Pacific Bankers Congress and Asian Banking Awards with the Association of Development Financing Institutions in Asia and the Pacific (ADFIAP) in April 1999 in Manila. 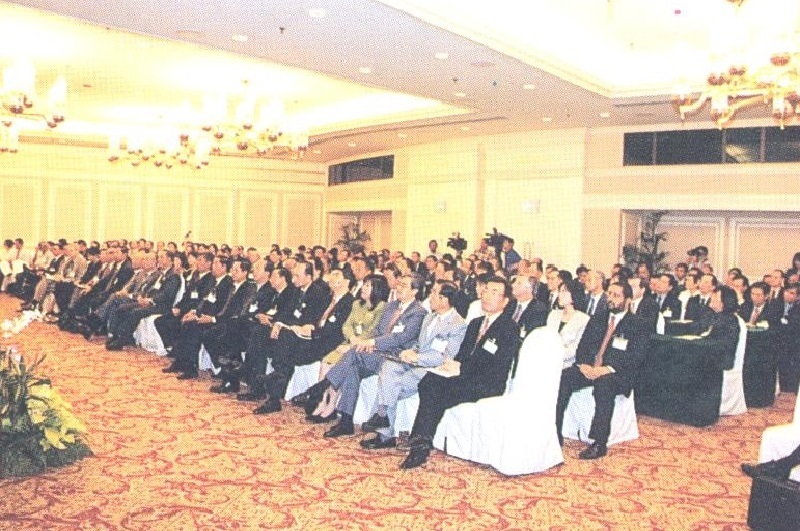 Held annually since 1998, APBC is considered Asia’s largest learning Conference and Expo for bankers. The full text of the Chairman’s Report is attached as Annex D.
13. The members considered and adopted the draft Joint Communique summarizing the results of the 16th ABA General Meeting. The full text of the Communique appears as Annex E.
14. The Meeting presented plaques of appreciation to the host banks for the warm hospitality extended to the participants and the excellent arrangements made for the meeting. The host banks included the United Overseas Bank Ltd., the Development Bank of Singapore Ltd., the Overseas Union Bank, the Oversea-Chinese Banking Corp., and the Keppel TatLee Bank. Mr. Peter Heng of UOB received the plaques on behalf of the host banks. 15. In closing, Chairman Aziz thanked members for their presence in Singapore and for their active participation in the meeting. He said that with their continued support of ABA activities, the Association has proven to be an enduring institution amidst· the many challenges of recent years. He expressed confidence that with dedicated application to the tasks at hand, ABA will continue to play a key role in shaping the future of the banking industry in the new millennium. 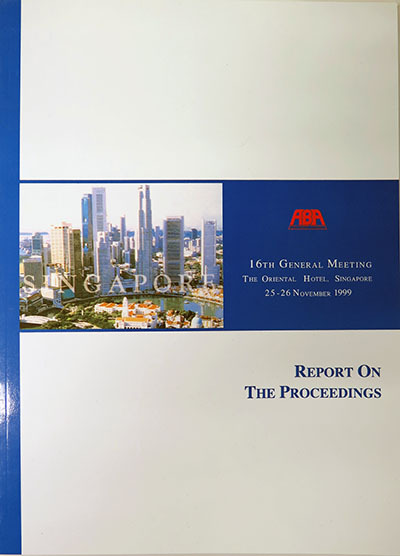 Report of the Secretary-Treasurer – The Board noted the activities of ABA since the 26th Board of Directors Meeting held in November 1998 in Taipei. Financial Report and Proposed Budget for 2000 – The Board noted the ABA Financial Stateme11ts for the years ended 1998 and 1997, as well as the ABA Financial Statements for the period January Ito August 31, 1999. The Board also considered and approved the Proposed Budget for 2000. Membership – The Board ratified the applications of four banks to become regular members and of one law firm to become an associate member. the Board also agreed to drop from membership the names of 14 withdrawing banks and of four delinquent banks, thereby reducing the total number of members to 132 from 146 in November 1998. Asia-Pacific Bankers Congress 2000 – The Board noted the progress report on preparations for the APBC 2000 to be held ·on 23-25 May 2000 in Kuala Lumpur. The Board agreed to extend support to the Congress. Report of the Special Committee on Policy Advocacy – The Board endorsed the position paper prepared by the Special Committee on Policy Advocacy. The paper underscored the need to ensure the continued pursuit and early completion of reform efforts to promote safer, more stable and more efficient international financial markets. Among the measures proposed by the paper were the promotion of international standards and transparency, the development of Asia’s bond markets, the strengthening of financial systems and the WTO process, and the strengthening of private sector’ s role in the pol icy process. 17. 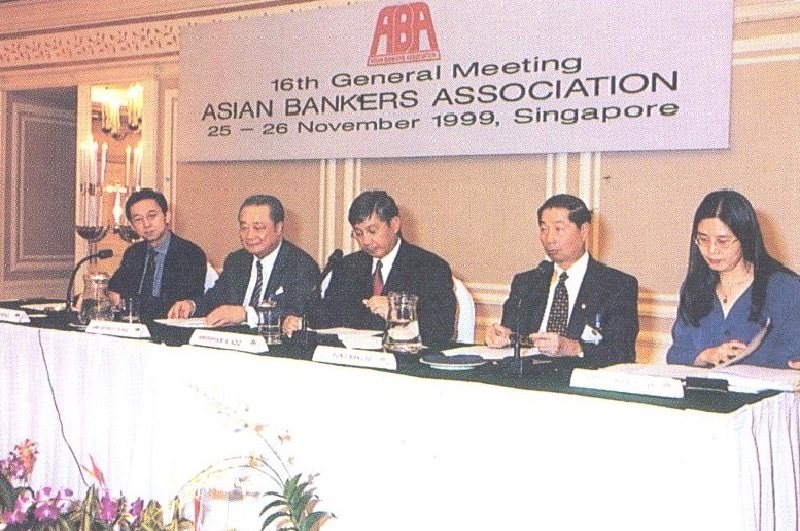 The Board adopted the resolution for a vote of thanks to the United Overseas Bank, the Development Bank of Singapore, the Overseas Union Bank, the Oversea­ Chinese Banking Corp., the Keppel TatLee Bank, and the Association of Banks in Singapore for graciously hosting the 16th ABA General Meeting and Seminar.